Laurence Green was born on 23rd February 1950 and has lived in the same small village near Totnes in south Devon since the age of six, with periods in France and California for good behaviour. He worked as a secondary school teacher for thirty years, twenty six of which were at his old school in Totnes. During this time he seemed to succeed best at frightening people or making them laugh. A few years ago, after ten eventful years working as a wood machinist, supply teacher, classroom assistant and gardener he retired to write ghost stories and biographies. In 2004 he gained his MA in Anglo-American Literary Studies from the University of Exeter. Soon after that he started to write. His wife Kathi and he have been happily married for forty years and have three sons. They travel a lot. 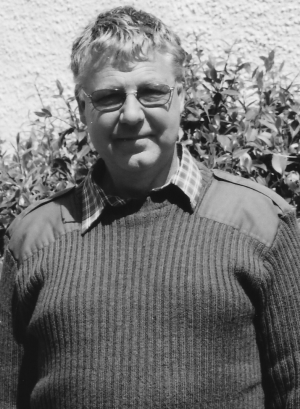 At home in Devon he writes articles for magazines mainly in Cornwall, including Family Tree and the Cornish periodical An Baner Kernewek. Laurence has produced two collections of ghost stories and has also written the biography of his grandfather, Bernard ‘Pop’ Green, who served in both World Wars and participated in The Great Escape from Stalag Luft III. His biography of Charles Causley, All Cornwall Thunders at My Door, was awarded the Cornish Literary Guild Salver for outstanding authorship at the Holyer An Gof awards in 2014. He enjoys gardening and church affairs. He is a parish councillor and loves to visit old churches, some of which are very creepy indeed. Among the unusual things that have happened to him are: car crashes in Mexico and France, earthquakes in California and a black widow bite in the same dangerous state.